Please welcome our new Feature Post Writer: Courtney Hunt! Hello! I’m so happy to volunteer for ArLiSNAP and write for the blog as a Feature Post Writer. I graduated in 2017 from the University of Tennessee at Knoxville with my M.S.I.S. and also hold an M.A. in the History of Art and Architecture from Hunter College/CUNY. 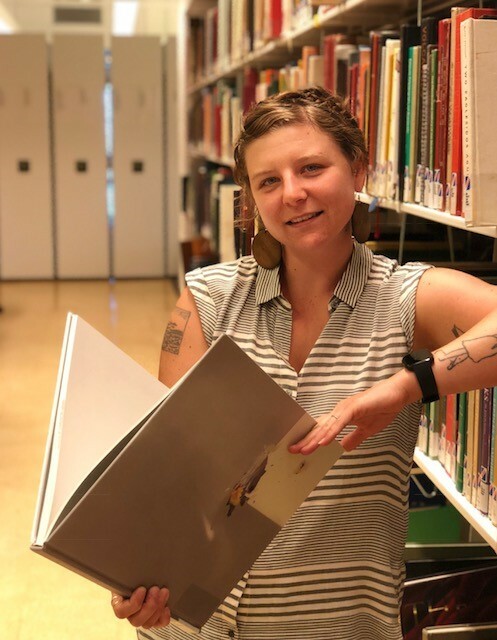 I currently work as Collection Development & Assessment Librarian at the College of Charleston Libraries in Charleston, SC. I’m from Charleston, and I just moved back for this position (and to be closer to family), so I’m taking my time to get to know the campus and reacquaint myself with all that Charleston has to offer. Prior to this position, I worked as an instruction librarian at a community college in Virginia, where I also taught art history as an adjunct instructor. My research interests are wide, but center around intersectional feminism and art making, specifically looking at women artists from the late 19th and early 20th centuries in Europe. My library research interests include the intersection of critical librarianship and collection development, visual resources, and the ways in which fine arts collections are used. In my spare time I love to travel and experience art/music/food in new places with my partner and our 14 month old son. I am very excited to be here and to contribute to ArLiSNAP, which is full of inspiration and information for all of us new professionals in the field! Thanks for having me.